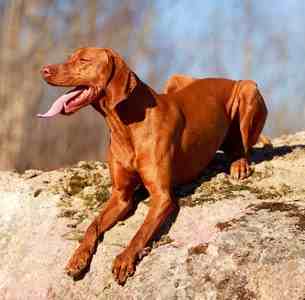 The Vizsla dog breed is playful with enough energy to exercise all day. Their want to play can be a bit demanding, however, so it's suggested that an allotted play time be laid out for a Vizsla. Otherwise, you will find their need to be entertained knows no bounds. Vizslas are needy for attention from their special person. They will often be seen following their owners or any people from room to room. These dogs are pretty appreciative of attention, especially being pet or touched in general by people. Their need for attention can become a bit of a nuisance, so they’re only good dogs for families comfortable with their dogs hanging around them all the time. Their pleasant personalities apply to other canines as well as cats. 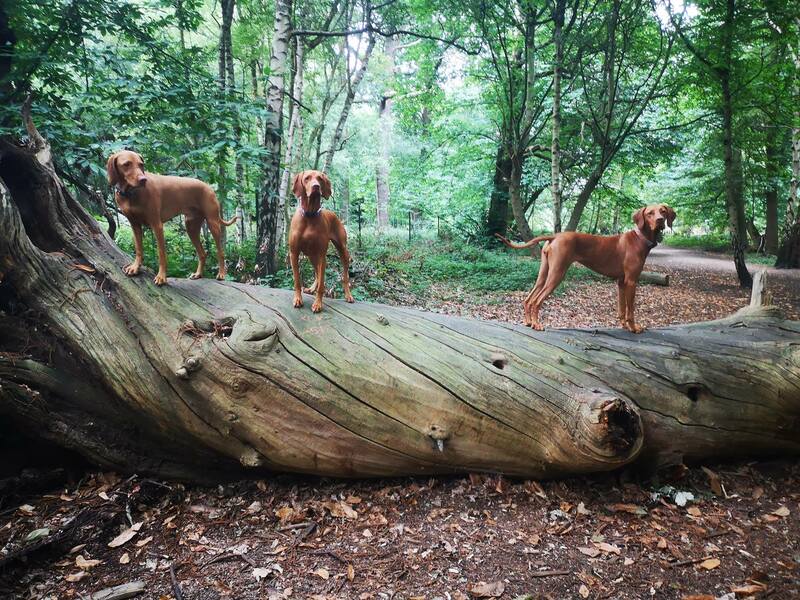 Vizslas do well working and living with other dogs, their playful personalities know no bounds! Vizslas are great with people of all ages. This breed will happily coexist when sharing the house with children. They get a bit intense while playing, however, so it is not best for them to be around small children. Otherwise, you will find that these dogs are compassionate with children. Any human company works for them and they love being part of the family. A Vizsla’s demand for attention makes perfect for some owners, but not all. If they go too long without attention, these dogs are prone to experiencing separation anxiety. It’s not best for health if they are left home alone all day. It isn't good for their owners either, as a lonely Vizsla will start to be rowdy or destructive. Sending them to doggy daycare or hiring a dog sitter is a good idea for this breed. Vizslas have some living requirements for them to be as happy as possible. This breed likes to run around and should be provided ample space to do so. A large, enclosed space for these dogs to play in is ideal. It’s also best to supply them with plenty of toys to chew on, or else it's entirely possible they'll see how the furniture tastes. 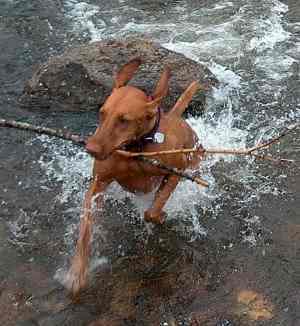 All work and no play make a Vizsla a rowdy dog. Along with chewing furniture, Vizslas are known to have other behavioral problems when they do not work out their excess energy through other activities like digging or tearing up sofas. They tend to be fairly vocal about their loneliness and boredom by barking as well, so they aren't great dogs for people who have neighbors that are sensitive to volumes. 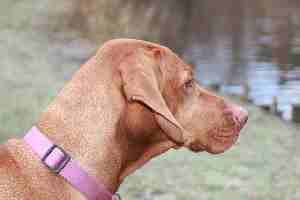 The Vizsla Dog Breed is known to be an independent dog despite its dependence on human company. They can be stubborn and sometimes reluctant to listen to commands from their owners. They are also easily distracted, so if something interests them, they won't be too interested in what their owners have to say. Vizslas are not very aggressive to any animals, except squirrels. This being said it’s still a good idea to have them in some sort of enclosure while they are playing. An excited Vizsla will be able to run through an electric fence if they really want to, but they tend to get the job done. The breed is also eager to meet new people, so they will often try to greet passersby. The Vizsla dog breed along with many others saw all kinds of new action during the World Wars. The 1800s and early 1900s broadened the workload of the Vizsla with the new technological advances the centuries brought. With the expansion of weaponry and the middle class, people needed a well-rounded dog to help them with hunting. It moved from being a mostly pointing breed to becoming a jack of all trades, retrieving and hunting rigorously alongside the hunter. In WW1, the military utilized the breed’s intelligence and obedience by using them as messengers on the battlefield. They did not see much use in WW2, however, and instead saw a decrease in population. It’s interesting to see the bravery of these dogs and loyalty to work with soldiers during these conflicts. The Vizsla dog breed, among other breeds, harshly survived the world wars but proceeded to prosper in the years following. Many dog breeds broadened their horizons and were imported into America in these years, including the Vizsla. It quickly gained popularity in the families of America for its affectionate and social personality. It was in the 1950s that the breed gained recognition in the US. Vizsla Club of America was founded in 1954, six years before its recognition by the American Kennel Club in 1960. Breeding practices likely led to the breed’s athletic and grand appearance, leading them to gain popularity as show dogs as well. These dogs remained most popularity in their home country of Hungary. They’re famously the Hungarian Pointers for a reason and have become a part of Hungarian culture. It is among some of the most popular dog breeds in Hungary, alongside the native Puli and Komondor. The people of Hungary supposedly have great pride in this dog, it's almost like a celebrity. When adopted by other European countries, like Germany, the rise of the Wirehaired Vizsla came to fruition. These dogs, unlike the classic short coat Vizsla, had a longer coast and feathering on their body, possibly to adapt to temperature. Other breeds have also been created as a result of mix breeding with this versatile hound. 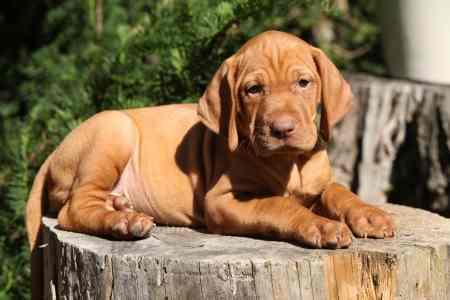 Vizslas are widely recognized as having only one coat color, a rusty, brownish, gold. They are sometimes mistaken for a Rhodesian Ridgeback, which has the same chestnut brown color. It's suspected, however, that the breed had different coat colors early in its history. 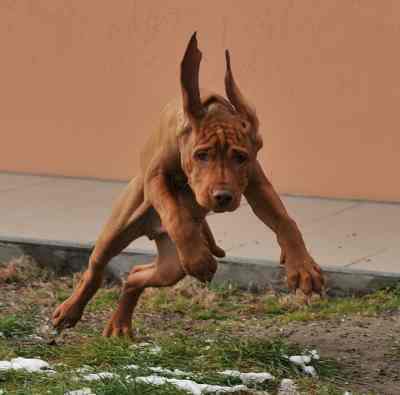 Vizslas present some difficulty when training them, especially when housebreaking. These dogs typically need about 9 months of crate training as well being taught their boundaries while indoors. Unless being shown otherwise, the breed tends to believe it has assumed the size and role of a lapdog. They are also known pretty excited in the presence of guests and they will bounce around with excitement. The breed is also somewhat independent, making them all the harder to train. Some Vizslas can be pretty stubborn and reluctant to listen to orders, this being the fact despite their love of human company. The breed also tends to become and stay distracted. An authoritative owner is needed for these dogs to be as obedient and responsive as possible. Most owners of this breed will take them to obedience class. This not only makes training easier but allows for the dog the socialize. Early socialization is key with all dog breeds, as it makes them more familiar with other animals, people, and surroundings. 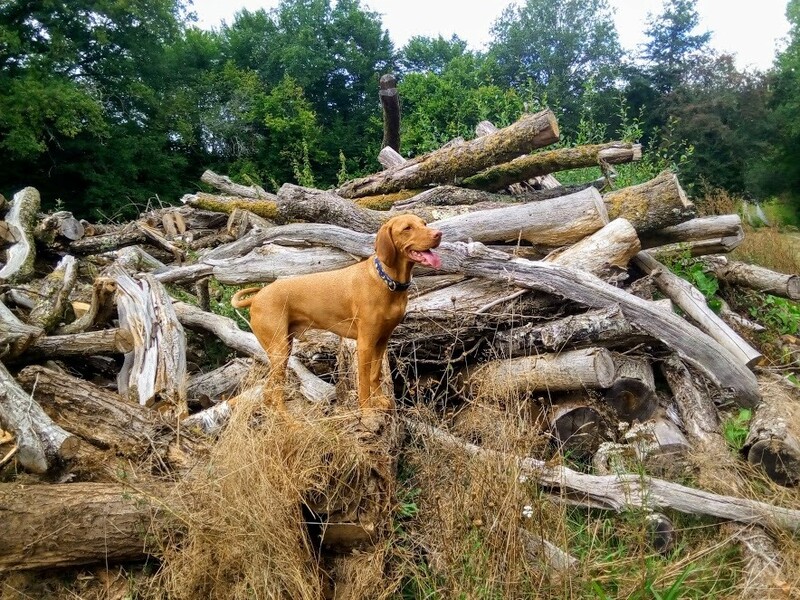 Taking Vizslas on walks and letting them explore also allows for them to get to know their environment, making them calmer dogs. They love playing in shallow water, and also swimming, ones they get used to it! 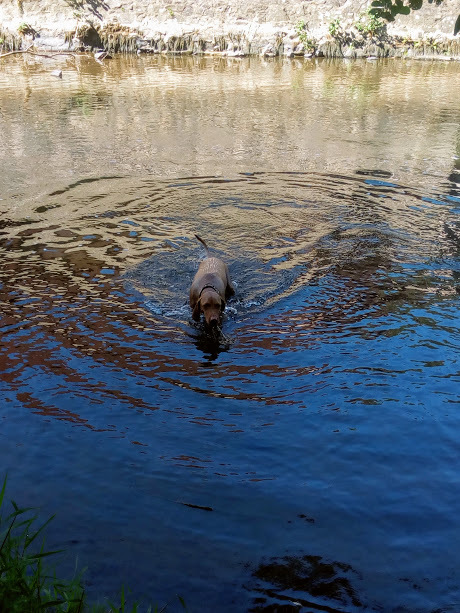 Boris the Vizsla enjoying a swim! Although they were sometimes used to guard herds of animals, Vizslas are not ideal protectors of people. Their social personalities make them more likely to greet an intruder as if meeting a new friend. They are often used to seeing new faces in the home or on walks so they won't consider them a threat. While they are not popular guard dogs, they can be used as watch dogs. Vizslas get excited when there is someone new to meet, and will bark at them. This makes them the dog for the job, as they will bark incessantly at the presence of a stranger. Overall, they're really only useful for alerting when it comes to protection. Despite their athletic build, Vizslas don’t really pack a punch. Are they intimidating? Even if one of these dogs is trained to play the role of a guard dog, it’s not likely they’ll be able to fight off anything larger than them. This being said, they can get pretty defensive of their owners if they sense an actual threat, so they’ll go down swinging. When it comes to grooming a Vizsla, it is not a very arduous task. This breed tends to shed a fair amount, and with the shed hair comes dirt and other odor causing particles that are stuck in it. In short, their coat takes care of itself for the most part. This being said, they still need to be bathed, and it is recommended that they are washed at least once every other month. All dogs are different, though, so bathe as needed if your dog happens to get particularly dirty. It is important to brush a Vizsla’s coat along with bathing it. Regular brushing helps keep a dog’s coat clean and looking good. You won’t find much resistance when it comes to brushing this breed, they love the personal attention. It is recommended that their coats be brushed at least 2 times a week. It isn’t just their coats that need to be brushed. It’s important to take into consideration the dental health of the dog as well. Regular brushing of a dog’s teeth promotes good dental health as well as fresher breath, as dog breath goes anyways. It’s recommended that a Vizslas teeth be brushed 2-3 times a week. They also need their toenails clipped. If a dog’s toenails get to be too long, they can become uncomfortable and even painful to them. Some dogs will file their nails down naturally, but others require assistance. A good way to tell if a dog’s nails are too long is if they click against the ground as they move. Did you hear? Dogs need their ears cleaned too. Breeds like the Vizsla that have down hanging ears are also more prone to ear infections because the lack of airflow traps bacteria inside. Ear infections aren’t fun to people and painful to dogs, so it’s recommended that their ears are cleaned at least once a week. By removing excess wax, wiping the ears down can also prevent infections from setting in. All dogs are going to have to deal with some sort of health complications at some point in their life. The best medicine is prevention, and with prevention comes preparation. Owner’s need to be ready for their dogs to be sick and should be able to supply them with the healthcare they require. Some dogs are more prone to certain health issues than others. 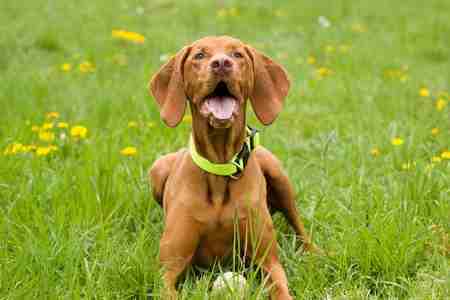 While it is not inevitable that a Vizsla will fall victim to any of these health problems, it is still important to be aware of them, just in case. Purchasing dogs from a good professional breeder is also necessary. A good breeder will know a lot of information about the breed as well as their health risks. They will also be able to know if the dog will be at risk to any genetic diseases. 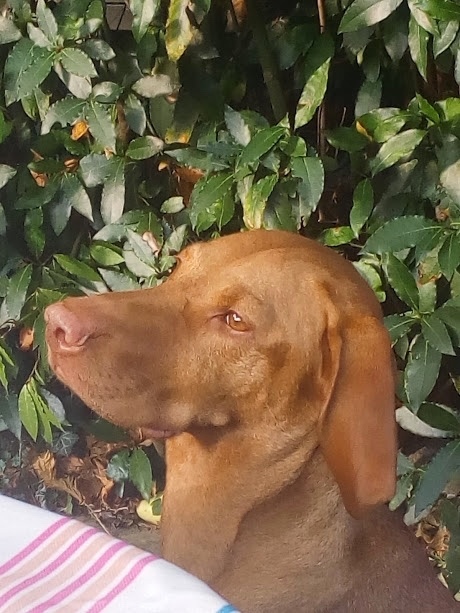 There is an excellent boarding kennel in England that ONLY accepts Vizslas; Red Dog Home Boarding - check out their FaceBook page at this link. I think it is very important to read as much as you can about a breed even before you make that first phone call to a breeder or rescue. These books are my favorites for this breed. Click on the links below to find out more!